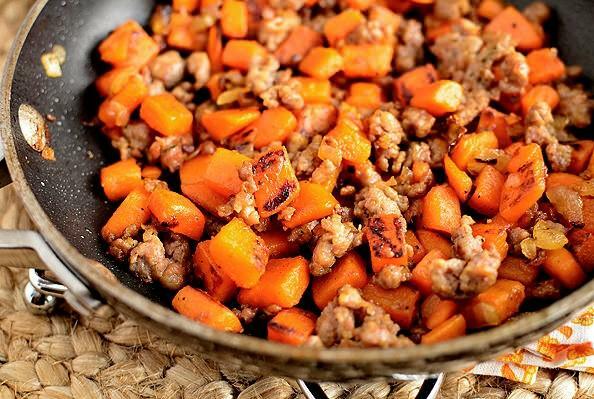 Sweet potato is the perfect carb for any athlete, it digest slowly to keep energy levels high and insulin spike just enough to feed the muscles but not the fat storage. Get a large cooked chicken breast approximately 8 oz, dice it up and throw it in a pan along with some olive oil. Add 1/2 a cup of diced sweet potato, 1/2 a cup of diced apples sprinkled with cinnamon, add salt and pepper to taste.